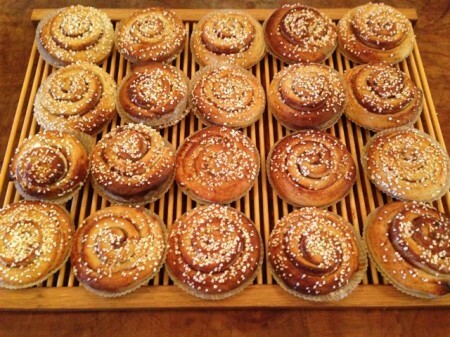 If you want to celebrate your Swedish heritage, or just be a Swede for a day, I thought I’d share my Cinnamon Bun recipe with you. 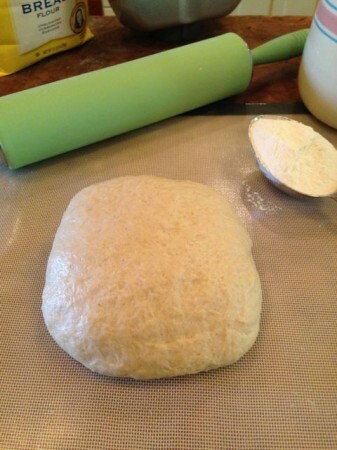 I make my dough in my bread machine, using the “dough” setting, but you could do it the old-fashioned way. 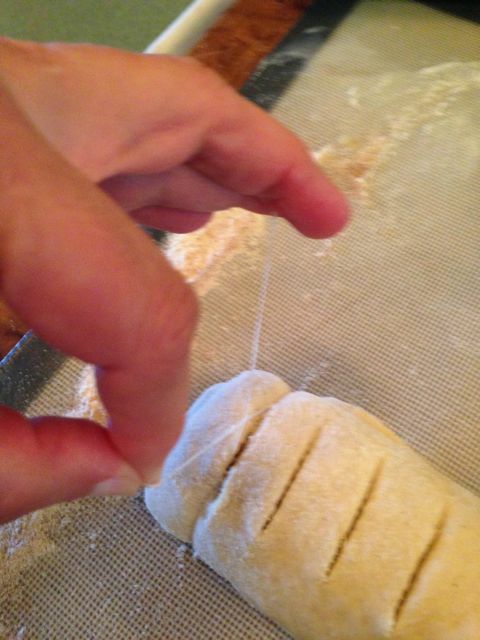 Put all these ingredients in your bread machine and set it to the “dough” setting. Shortly before it’s done, gather/prepare the following ingredients. When the dough in the bread machine is done, turn it out onto a floured surface, punch it down and knead until smooth and shiny. Let rest a few minutes. 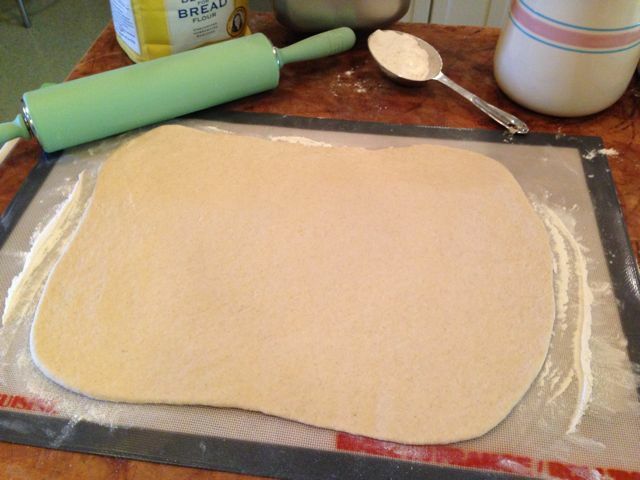 Roll dough into a 12″ x 18″ rectangle. Brush with melted butter. 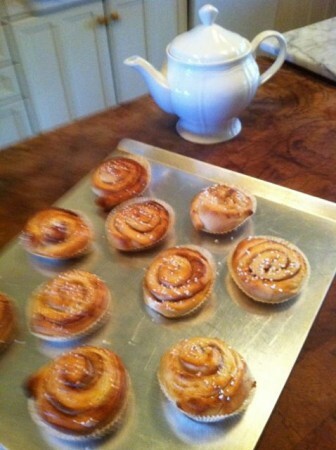 Combine sugar and cinnamon; sprinkle over the dough. 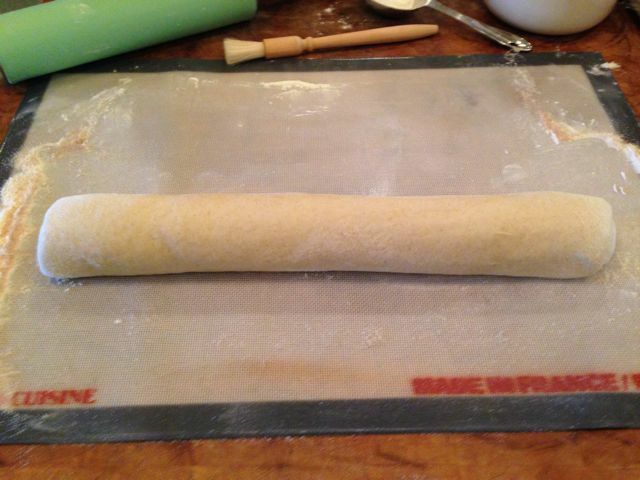 Beginning with the long side of the rectangle, roll up jelly roll style. At this point, it’s time to cut the dough into 20 slices – or something close to that. 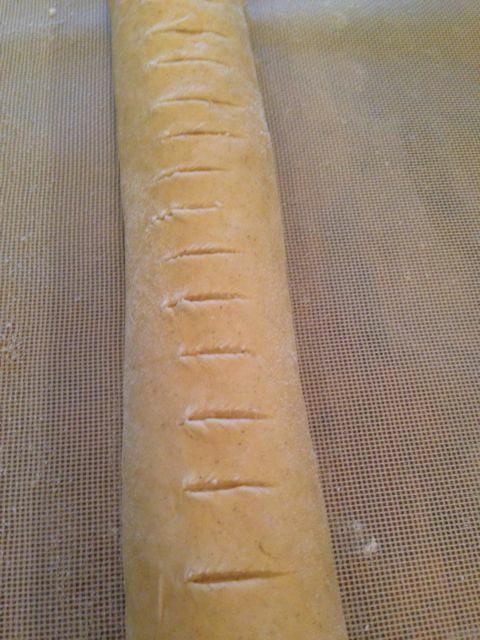 I use a serrated knife to mark the top of the roll. Swedish cinnamon buns aren’t crowded into a single pan, but baked in baking papers, individually, on a baking sheet. 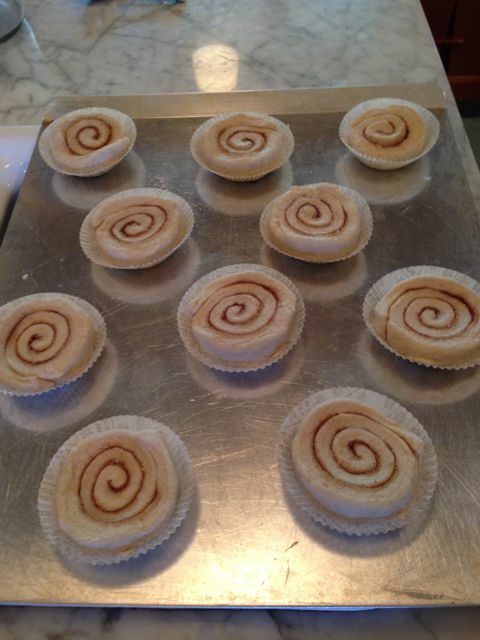 You can use cupcake papers for this, but they are a little deeper than needed. You should be able to find baking papers at a kitchen store. 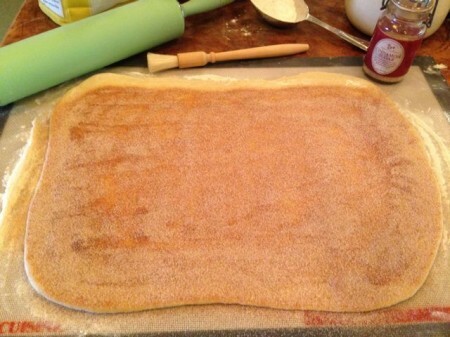 Place each slice into a baking paper and place on a baking sheet. Cover and let rise until double—about 45 minutes. Make an egg wash with 1 egg and 1 tablespoon of water. 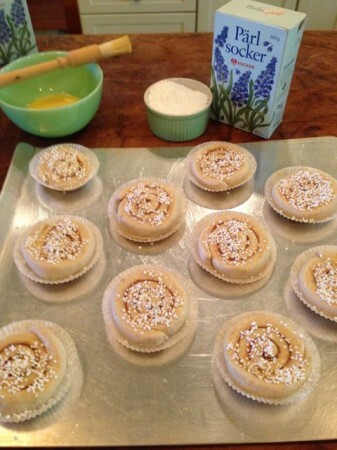 Brush rolls with egg wash and sprinkle with pearl sugar. Don’t know about pearl sugar? 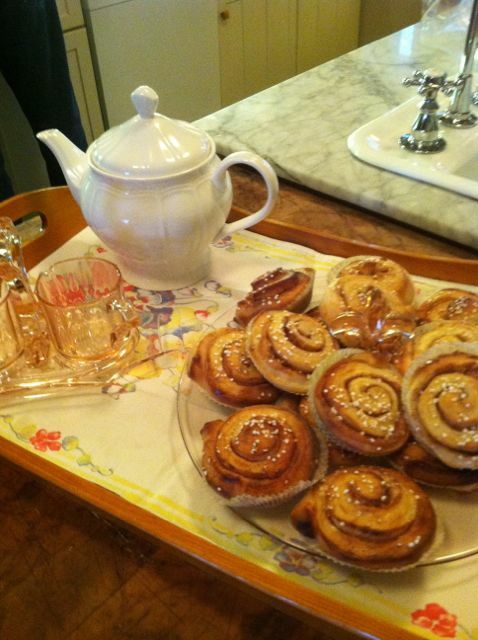 It’s a coarse, dense sugar available at specialty food/kitchen shops or Ikea! 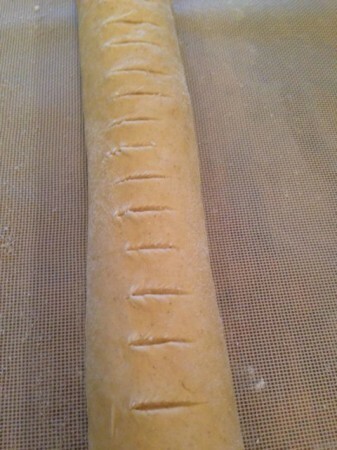 Bake at 425º for 7 – 10 minutes.